Leadership is “a quality of personality that inspires, motivates or influences others to accomplish a goal”. For the sake of comparison I will also consider another aspect of leadership that every great leader must come to grips with–that intoxicating demon known as power. Without a doubt, Napoleon and Washington possessed the “inborn subtlety'” that Buchanan so eloquently describes. The popular myth portraying Napoleon as a shallow, thin skinned, egotistical megalomaniac was born of the old truism “to the victor goes the spoils”. In this case, the spoils involve the ability to publically control the narrative surrounding defeated Emperor’s life. Certainly, a man lampooned as nothing more than a short insecure bully would never be able to pull off one of the most astonishing acts of leadership in the history of western civilization by walking on the shores of France with a handful of men and days later find himself seated once again in power. 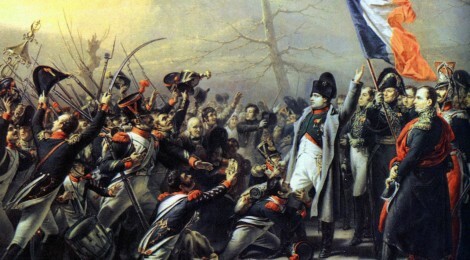 Napoleon was the kind of charismatic leader that history has rarely seen. The ability to “inspire, motivate and influence others” were abilities both men possessed in full. 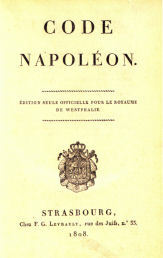 According to the Duke of Wellington, Napoleon’s presence on the battlefield “made the difference of forty thousand men”. At the beginning of his career, Napoleon showed flashes of what was to come by confidently taking charge of a room filled with more experienced Generals who were hesitant to defer power to this young upstart. He had a magnanimous presence that controlled a room and charmed both men and women alike. These traits were disarming to those expecting behavior similar to the portrait painted of him in newspapers and flyers. Even his enemies found him personally likable. 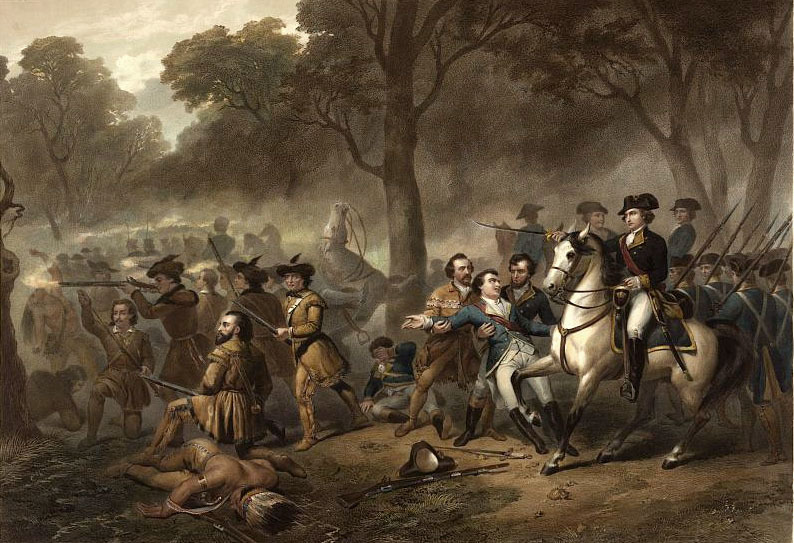 Washington’s presence on the battlefield was perhaps not as numerically impactful, but certainly as courageous and inspiring. Washington truly embodied the look of a leader. Towering over most men of this age, Washington stood at over six feet tall and accented his presence by an upright posture and prominent features. A master horseman and an aspiring stoic, Washington was the embodiment of the commanding presence. He was also known to be aloof and distant. This was in part because of his advocacy of roman stoicism, but also because he found himself uncomfortable in the presence of men much more educated than he. Both men were unquestionably prime examples of histories’ finest leaders. Yet there is one aspect of leadership that nudges Washington ahead of Napoleon–his ability to resist the temptation of absolute power. At the peak of his fame and influence, Washington handed over his sword and retired from military life after The Revolution. 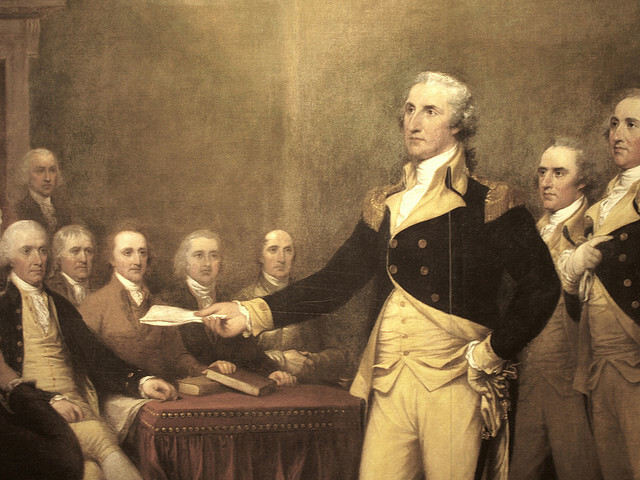 This act prompted King George comment incredulously “If he does that, he will be the greatest man in the world.” Reluctantly, Washington was drawn back into the political sphere, but this singular moment in history set the tone for a new model of leadership. But to be fair, Washington handed over power to a government and people well equipped to handle self rule. Napoleon’s power on the other hand was born of a Reign of Terror that practically disintegrated a society. Stepping down from power would prove a risky affair for an Emperor facing enemies relentlessly waging war against him. It would be a much tougher road for Napoleon to hand over power. Yet as we come to understand Napoleon’s unique circumstances, it must also be noted that he attempted to hold on and expand his power by using the age old practice of nepotism. A man who had the foresight to install the revolutionary Code Napoleon across Europe still struggled to find new ways of rethinking traditional European power structures. He attempted to hold onto power by by playing by the old rules of Empire, not breaking free of them. Circumstances aside, history will forever see Washington as a man capable of putting aside the temptation of absolute power for the greater good. Napoleon failed to recognize this essential tenet of leadership until it was too late. Fairly or unfairly, one man became an example of successful leadership and the other a historical cautionary tale.